This book is written for concerned parents and teachers. It describes all the basics needed for an insight into dyslexia and covers description, assessment, diagnosis, parental rights, legislation and the statutory "Statementing" process. This second edition has been fully revised, expanded and updated to incorporate latest research findings and modern practices, the Green Paper'Meeting Special Educational Needs', the DFES National Literacy Strategy, the new (2002) Code of Practice (Special Educational Needs) together with the latest recommendations of professional bodies and supportive agencies. The book is descriptive and informative. Its aim is to assist, enable and support involved adults in their efforts best to meet the specialised needs of dyslexic children. Any controversial aspect of the subject is described objectively and impartially, both sides of the case being presented without bias. Dyslexia is described against the general background of the normal teaching and learning of reading in the mainstream education system. The Second Edition, generously illustrated throughout with drawings, diagrams, tables, flowcharts and graphs, contains an additional chapter, more appendices and an expanded glossary. 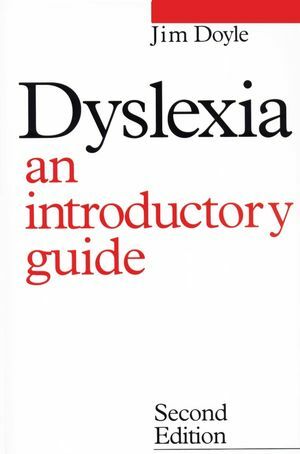 James Doyle is the author of Dyslexia: An Introduction Guide, 2nd Edition, published by Wiley. The Importance of Mental Age. Assessment of The Dyslexic Child. Possible Causes I, Biological Bases. Possible Causes II, Phonological Awareness. A Brief History of dyslexia.